You’ve come to the right place if you’re looking for a speedy, efficient man and van service. We have all the options you could want, from a single vehicle and driver, to a full team of porters and drivers. We understand that your time is valuable, so we don’t waste a minute of it. We turn up on time, and always do that little bit extra to make sure that whatever you’re moving is treated with respect and consideration. Chelsea can be a difficult place to deliver to and from, but we know it like the back of our hands, and keep right up to date with any delays, disruptions and strikes. 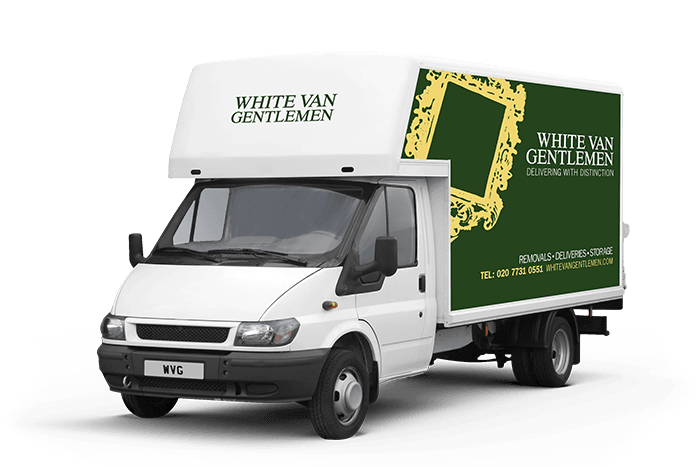 With our years of experience dealing with all kinds of deliveries and removals, we know the best way to get your goods from A to B.
What’s even better is that you have real peace of mind with White Van Gentlemen, as each and every one of our vehicles is alarmed and insured, as well as being equipped with every conceivable packing material. Whatever you need to move, we’ll be there with the tools and equipment you need to get the job done. Just call our man and van quote line for a free, no obligation quote from one of our specialist Chelsea man and van teams on 0207 731 0551. Alternatively, just use our quick enquiry service, and we’ll get right back to you whenever you want. Deliveries, removals, office moves and storage options across Chelsea are our speciality. What makes us different is our single-minded approach to making sure that you’re happy every step of the way. With our team of experienced, professional porters and logistics experts, you can rest easy knowing that your job is in safe hands. Why not call us today and find out how we can make your life easier.